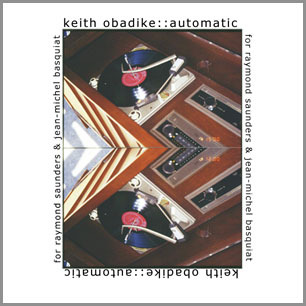 HelloMachine is a music and multimedia label specializing in the work of Mendi + Keith Obadike. The pieces listed below can be ordered by contacting us at Hellomachine@blacknetart.com. If you are interested in broadcasting, exhibiting or public presentation of these works please contact Evelyn McGhee at Office@blacknetart.com. SOFTSHELL is $5. All other CDRs are $10 plus shipping and all text PDFs are available for free downloading. Textures built from words found in the paintings of Raymond Saunders and Jean-Michel Basquiat are the foundation for this composition. both painters are well known for creating works that blur the line between high and low forms. as in hip-hop, Saunders' and Basquiat's employment of found objects and graffiti techniques is significant in crafting a personal sign or tag out of appropriated materials. 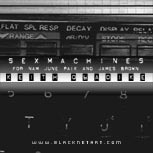 Sexmachines is a sound art triptych dedicated to Nam June Paik and James Brown. The third part of this suite is also featured on the CD Radio Action II from Free103.9. Uli is a classical painting style and design system from the Igbo people of Nigeria. Traditionally, as practiced by Mgbadunwa Okanumee, uli has been used to decorate the body or architecture. Since the 1960s, however, academic artists such as Uche Okeke, Obiora Udechukwu and Olu Oguibe also have incorporated uli into their contemporary works on canvas and paper. The UliSuite is an attempt to aurally render the lyrical lines (Eke-the sacred python) or stippled dots (ntupo) of uli, while simultaneously articulating a sense of an architectural space that has been treated with uli designs. The sounds/pigments for this project were "favorite everyday sounds" submitted by participants in the E-2A project (a telnet/Internet-based call for sounds). 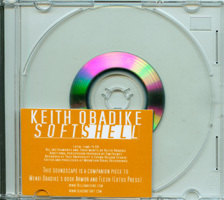 SOFTSHELL is a companion work to Mendi Obadike's book Armor and Flesh (Lotus Press). All instruments and treatments by Keith Obadike. Additional percussion by Tim Feeney.This work is available on a clear CD-R.It was recorded at Yale University's Sound Design Studio.SOFTSHELL was edited and processed at Mountain Ridge Recordings. 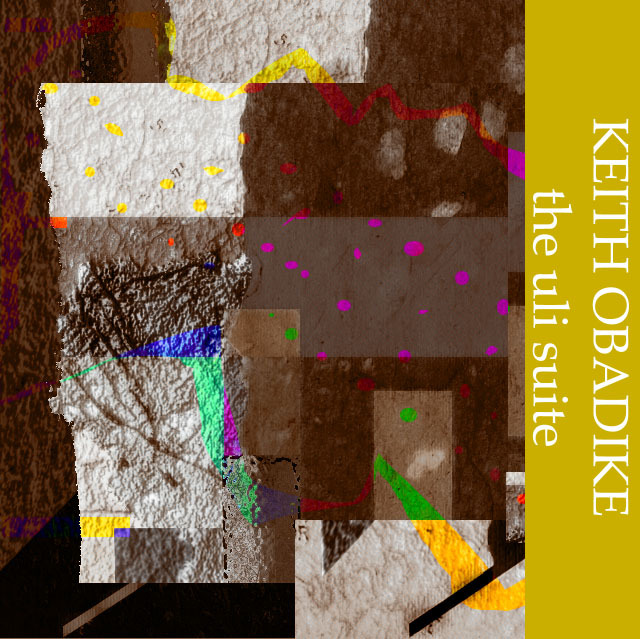 all sounds text and images ©Mendi and Keith Obadike all rights reserved.